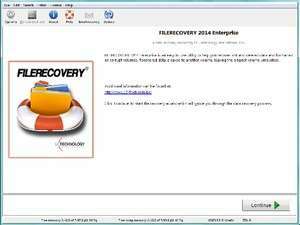 FileRecovery PRO is a useful file recovery tool which can recover files and folders lost in an accidental drive format, deletion or for any reason data may have been lost. The program supports standard hard drives, RAIDS, removable media, flash drives, memory sticks and more. It supports Intel-based systems. It is a commercial program available as a free download trial which, when registered, can be purchased as a single-user version or a network version for use on multiple systems. FILERECOVERY Professional 5.5.4.7 is a shareware program and can be used as a demo to try the software until the free trial period has ended. A full version of the program is available after the trial period ends. For security reasons, you should also check out the FILERECOVERY Professional download at LO4D.com which includes virus and malware tests. Additional screenshots of this application download may be available, too. FILERECOVERY Professional has a presence on social networks.